Welcome to our Website! If you’re looking for professional massage therapists, you’ve come to the right place. 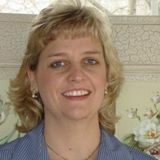 I'm Catherine Slagell, the owner of Back on Track Therapeutic Massage Center in Bridgewater Virginia. There are three therapists that work here, Neva Clayton, Cassey Harris and myself. We can be reached by phone or by text at 540-209-0945. Our email address is info@backontrackmassagecenter.com. We are trained in a variety of modalities, and you can click on the "Our Services" page to learn more about the various techniques we use in our work. Some medical savings accounts re-imburse for massage therapy services. Check with your's! Also, if you’d like to request an appointment with one of us, just click on the "Request a Session" page. I will call you back to confirm the details of your appointment, and also answer any questions you might have.